This recipe is a pretty common dinner in my family that i’m proud to share – a personal favorite of mine, a 45 minute meal, and so yummy. Coat the chicken cutlets front and back with ground pepper. Next, on a non-stick skillet warm up oil on medium-high heat. Dip the chicken cutlets into flour, covering them front and back with flour, then place the cutlets on the skillet flipping them once or twice so that they are lightly cooked on each side. Meanwhile, melt the 1 tbsp of butter in a deeper skillet. Once the chicken is done in the skillet, transfer the chicken to the other skillet and cover the chicken with the mushrooms. 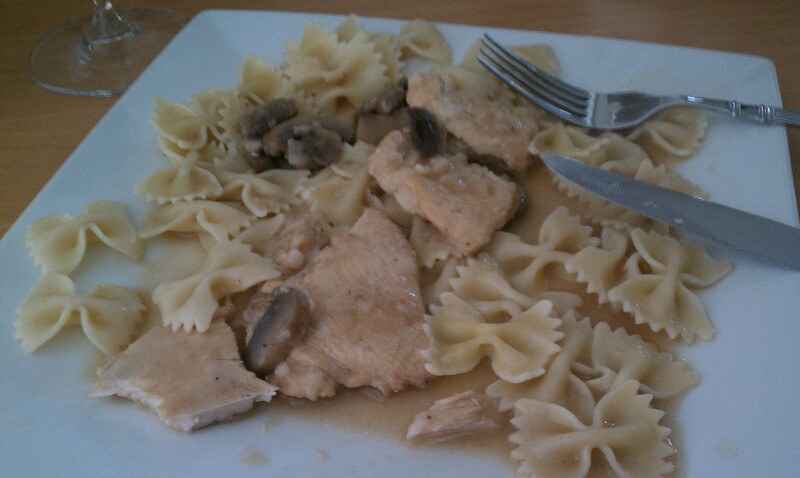 Cover the chicken with the marsala wine. 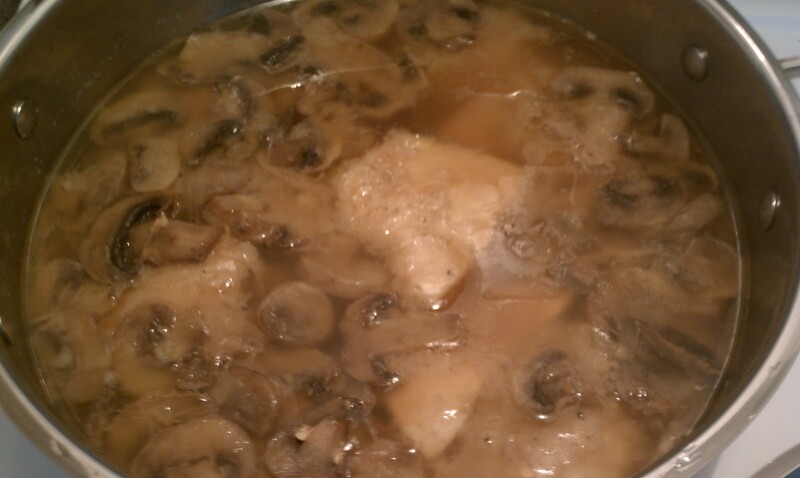 Then add water so that it covers the mushrooms. Let the mixture come to a boil, lower the heat to low and let it simmer for 30-40 minutes. Make any kind of pasta and serve over pasta!